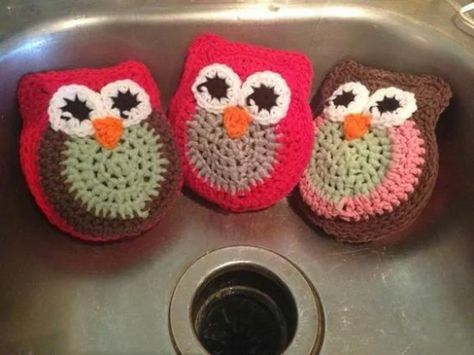 It will be a race to wash the dishes when you have these super cute Owl Crochet Dish Scrubbies hanging around the sink. 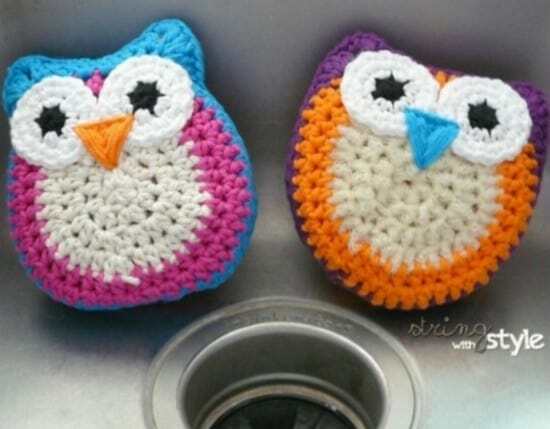 They really are OWLdorable and they will bring a cheeriness to your home every time you use them! They make a great homemade gift too. 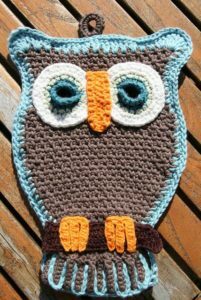 Be sure to scroll our page and check out the Owl Crochet Pot Holder and video too. Don’t forget to Pin as you go! 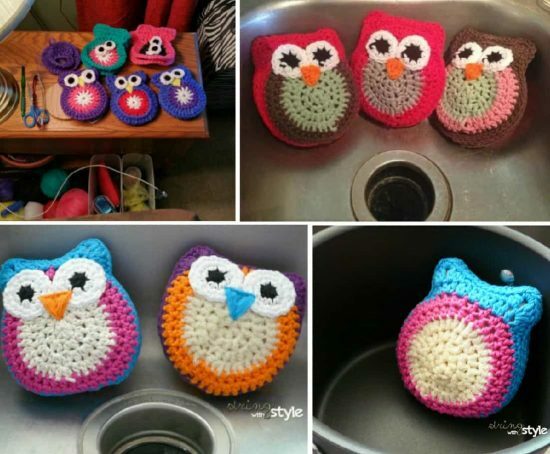 Some people sure are clever and we were thrilled when we came across these colorful Crochet Owl Dish Scrubbies. 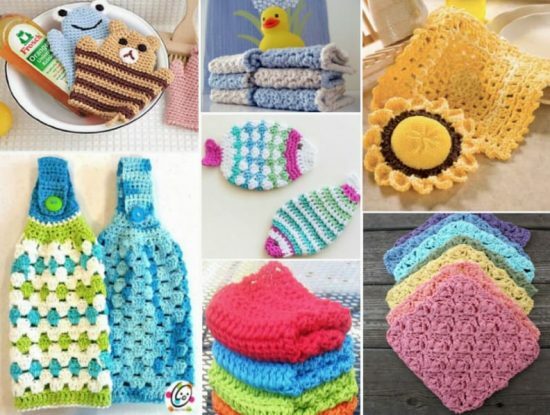 The material needed is Cotton Yarn in colors of your choice. Be sure to use cotton as it absorbs water and is more durable for washing. 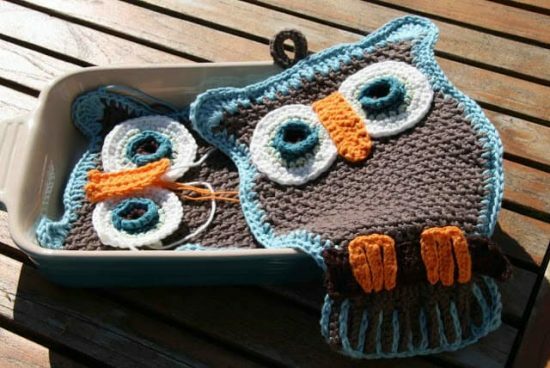 You will also need a 5.5mm Crochet Hook, a Yarn Needle and some extra strips of Nylon Net Material to stuff the Owl with. The link to the Free Pattern can be found further down our post. 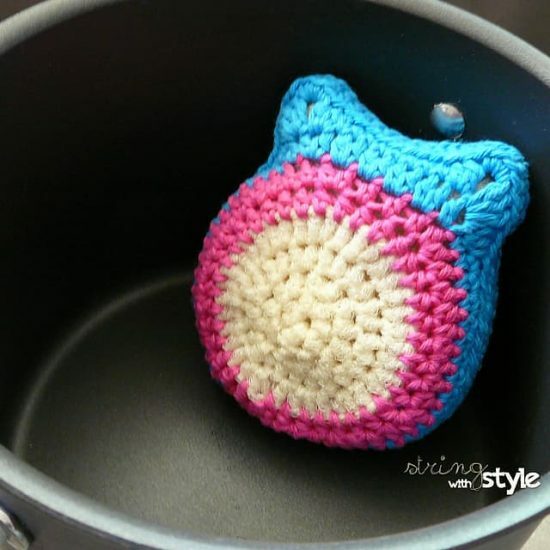 We have also linked to our very popular Dish Scrubbie Crochet Post that includes lots of other ideas that you will love.